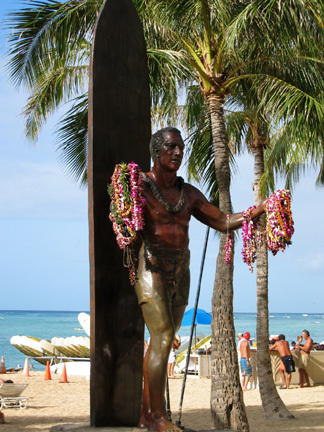 Statue of Olympic gold medal swimmer and surfing champion Duke Kahanamoku at Kuhio Beach. I read somewhere that the placement of this statue was controversial because Duke has his back to the ocean. A real surfer would never turn his back to the waves.